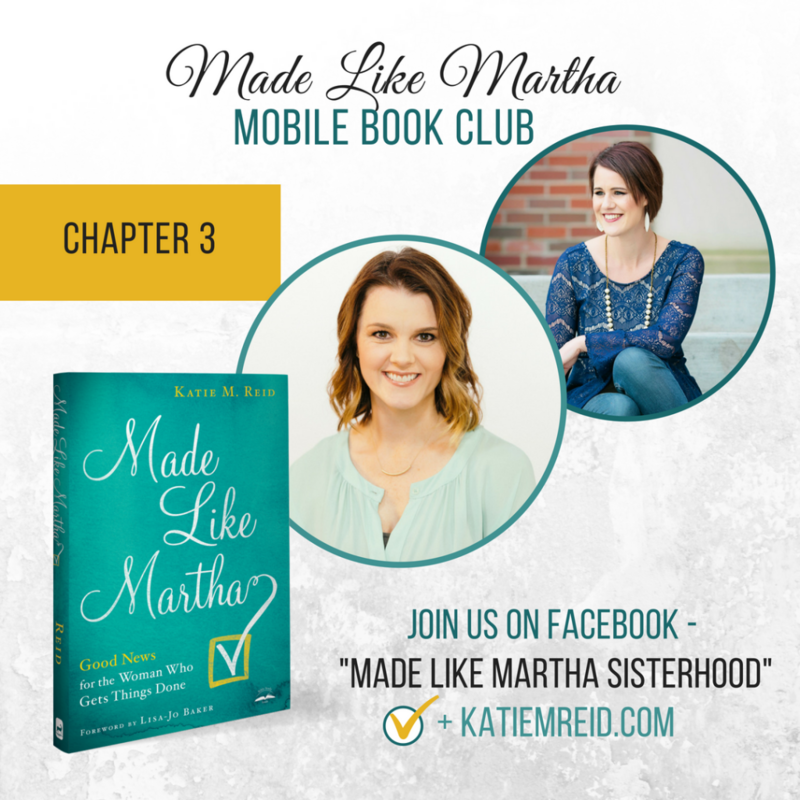 Welcome to Week #3 of the Made Like Martha mobile book club! We hope you’ll join us for the next eight weeks as we dig into this message of grace and freedom. As we discuss each chapter of Made Like Martha, I’ve invited some of my writing friends to take turns hosting our mobile book club, at their place. 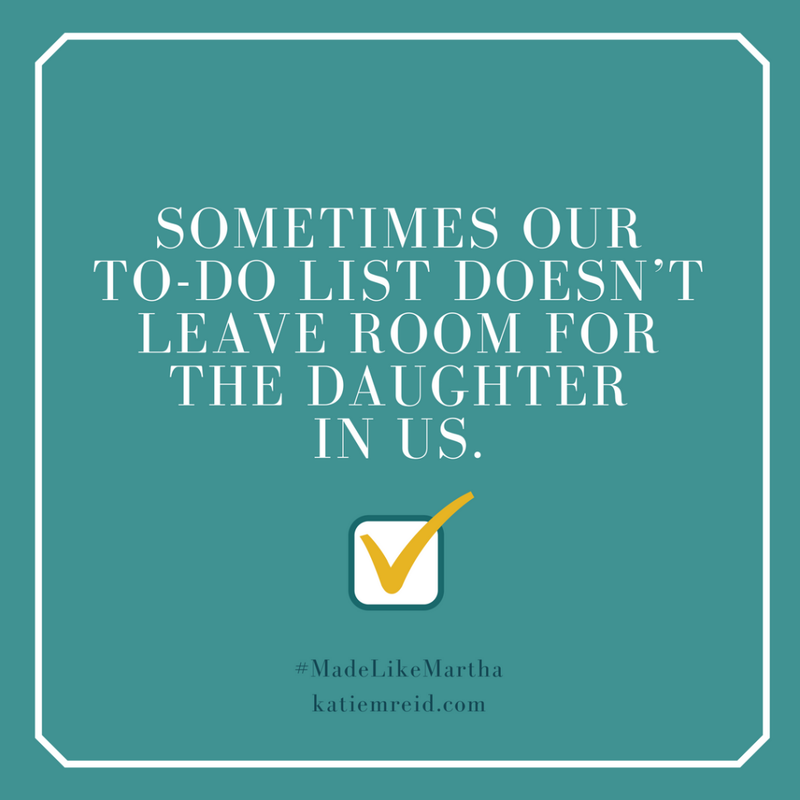 We’ll also interact over in the Made Like Martha Sisterhood (Facebook Group), so be sure to join it if you haven’t yet. Today’s host will be joining me tomorrow, at 8:00pm EST in our Facebook Group for a live chat about Chapter 3, on Wednesday, August 8th. We look forward to getting to know you better as we read, chat, and interact. Disclosure: Affiliate links below. Read full disclosure policy here. In case you haven’t ordered one yet, you’ll want to grab your own copy of the Made Like Martha (paperback, ebook, or audio version) before next week, since we’ll be discussing Chapter 4, next Tuesday. Our host for this week is the fun and fabulous, Kristin Funston. She’s the wife of an athlete, a mom of lively girls, and an all-around get-it-done gal. Affiliate links below. Read full disclosure policy here. And (hush, hush), Kristin’s first book: More for Mom: Living Your Whole and Holy Life, comes out this April. But it’s available for pre-order now. Woohoo! My parents divorced when I was 19 years old. My dad’s announcement to leave shattered me and my ideal of family. I had no idea it was coming and the announcement was – to me, at least – out of the blue. Fast forward 15 years, lots of hurt and distance slid between my dad, my sister, and me. While we still had contact with him, our relationship – without a doubt – weakened. Especially as he embarked on new life adventures without us – new jobs, new homes, even a new family. So we moved on too. We grew up, got married, had kids and learned to live life without any significant relationship with him. Sure, we chatted every once in a while to catch up, but it wasn’t like our dad-daughter chats before. Phone conversations were on a time limit when accessible and very surface-level and guarded. Visits were minimal at the beginning and eventually non-existent. This past Christmas my sister and I cautiously and joyously welcomed our dad back after some changes happened in his life. He was finally able to meet his grandkids and work on building relationships. It was hard. There was a lot of hurt, anger and confusion we needed to work through. Because my dad left when I was barely 19 years old, I’m now smack in the middle of my thirties. The past fifteen or so years have been extremely formative years for me, and I’ve grown more emotionally and spiritually than in all the prior years of my life. I am a different person now than I was at nineteen. So when my dad, sister and I all reunited last Christmas, it was an emotional holiday – a great holiday – but emotional. I prayed a lot leading up to and during the visit.